One of the most important things to consider when planning a great stay in Amsterdam is, of course, your choice of accommodation. Which is the best area to make your base and what are the most enjoyable things to do for your and your partner’s romantic Amsterdam weekend, or your weekend trip with friends? Fortunately for you, we know exactly where to find the best places to stay in Amsterdam, and we can offer you some really great tips for the ultimate Amsterdam weekend. Amsterdam is full to bursting with hotels, alternating from really good to really bad. Spending one night or more in Amsterdam is always an experience, but you will have to be in the right hotel to make the most of it. You should always pay particular attention to your choice of hotel, especially when opting for those in the centre of town. There are a number of luxury central hotels where service is always top class but be warned, there are also many hotels where both service and hygiene leaves a lot to be desired. Furthermore, the centre of Amsterdam is always extremely busy and you must be able to put up with street noise. Of course, the flip side is that, being in the centre, you are within a short distance of all the popular attractions. 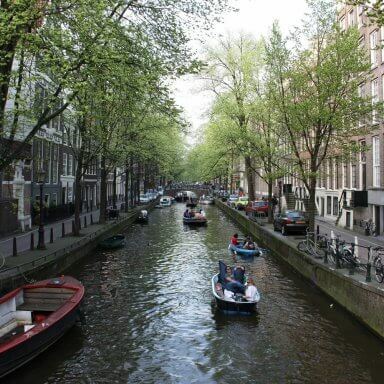 If you need something quieter consider the Jordaan district which has a wide range of hotels in a much quieter location, with the additional advantage of still being close to the centre of town. Want to know which hotels we recommend? Visit our Amsterdam hotels page. Concerned about your budget? Then a hostel is your best bet! Of course, a hostel is much less luxurious than most hotels, but Amsterdam has plenty of good quality hostels where you can stay for a similarly good price. Visiting Amsterdam with a group of friends and want to spend your cash on something other than accommodation? We recommend a hostel – the perfect way to sleep over on the cheap. 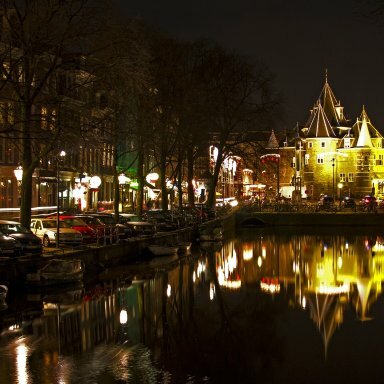 We have made a selection of the top hostels in Amsterdam just for you. Want to put together a shortlist before making your final choice? 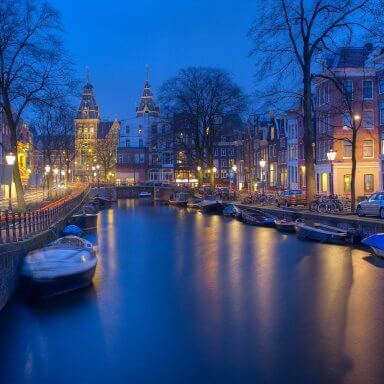 Take a look at the Amsterdam hostels page. Amsterdam is the ideal destination for a weekend away with friends. 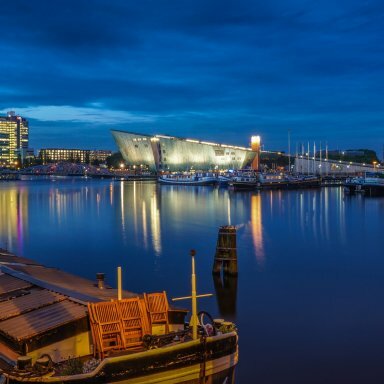 The combination of night life, cultural events, shopping and, of course, coffee shops and the red light district are the main reasons why many groups choose Amsterdam over other, less exciting destinations. However, even a long weekend is short so how do you make sure you see as much of the city as you can in just two or three days? Which Amsterdam activities best suit you and your friends? We know all the answers and can tell you exactly how to make your weekend in Amsterdam absolutely perfect. Want to know more? Check the Weekend in Amsterdam page and we’ll give you all the information you need! Amsterdam is the perfect destination when you are looking for a romantic weekend away with the love of your life. In the evening when the canals are stunningly lit and colourful boats slide over the water, this wonderful city is at its best. Countless old canal houses and beautifully landscaped parks complete the romantic atmosphere. If you only have a single weekend here you will want to spend your time enjoying the sights, not planning them or coming across unwelcome surprises. Fortunately for you, we know exactly how to organise the short time you have together in the romantic city of Amsterdam. All you need is love…and to read through our tips on the Romantic Weekend in Amsterdam page. 617 visitors rated Accommodation average 4.56 stars out of 5.